Chokladlycka (meaning chocolate happiness in Swedish) is a biscuit filled with cocoa cream and covered in milk chocolate. It's manufactured by Swedish supermarket chain Coop as a store brand. I would say the biscuits are very similar to the Australian Tim Tam. The milk chocolate has a pretty sweet note to it but not over the top and the cocoa filling is smooth. When you bite you notice that the biscuit is very crisp (maybe a bit too hard even?) but it's nice to dip it in a hot drink so it becomes gooey, just like a Tim Tam Slam. The biscuit in Chokladlycka didn't get moist so fast like their Aussie counterpart, but other than that I found the Swedish and Aussies biscuits almost interchangeable. Chokladlycka was a nice treat and I was suprised with the similarities to Tim Tam, which I like very much. It's also kind of a bargain at roughly £2 compared to Tim Tam which is sold at rip off prices like £6 in some import stores (rare to find though). This sounds great. 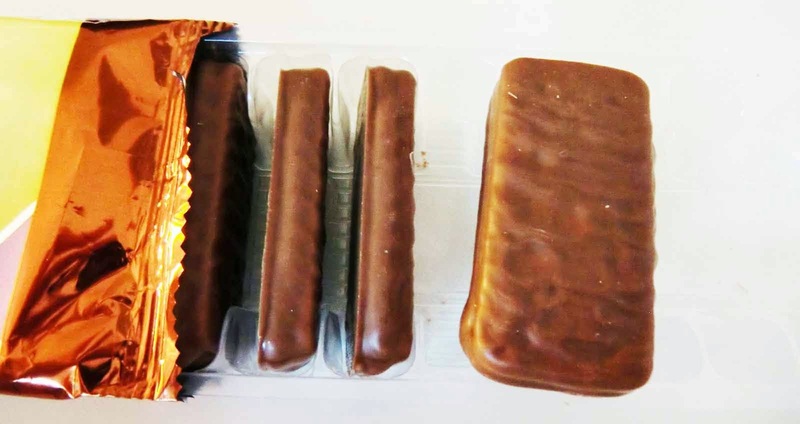 I love Tim Tams but the closest we get in the UK is the inferior Penguins.